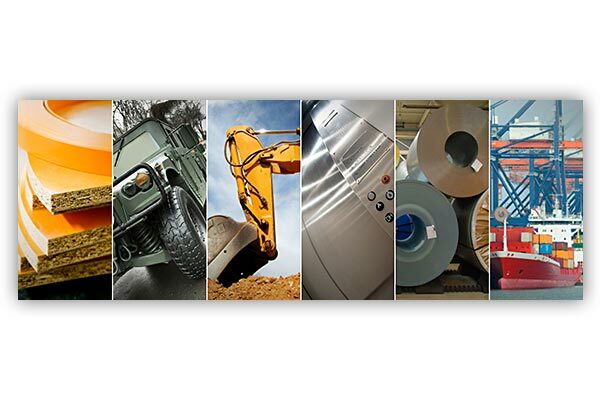 Daubert Chemical Company has been a leader in providing specialty coatings and adhesives to the steel, automotive transportation, and general manufacturing industries since 1935. L2 Interactive and Daubert have been partnering on their website for over 16 years! This most recent web launch marks Daubert’s third redesign with L2, and we thank them for their long-term loyalty. As a part of their new site, Daubert wanted to reinforce their place as a leader in multiple global marketplaces, and find a better way to showcase and sell their products online. To facilitate this, L2 started from the ground-up, overhauling existing site architecture and user experience, building completely custom ecommerce solution, and creating multiple custom tools to automate their processes and communicate with clients. Daubert’s multiple product lines are world renowned, but L2 wanted to make sure that users with varying product knowledge could easily navigate to what they needed. So, L2 created a flexible site architecture, designed to accommodate the full spectrum of ways in which users may search for and purchase products. First, L2 considered the experienced user, who was coming to the site to re-order a familiar product. For these users, L2 created the smart Product Search Bar. 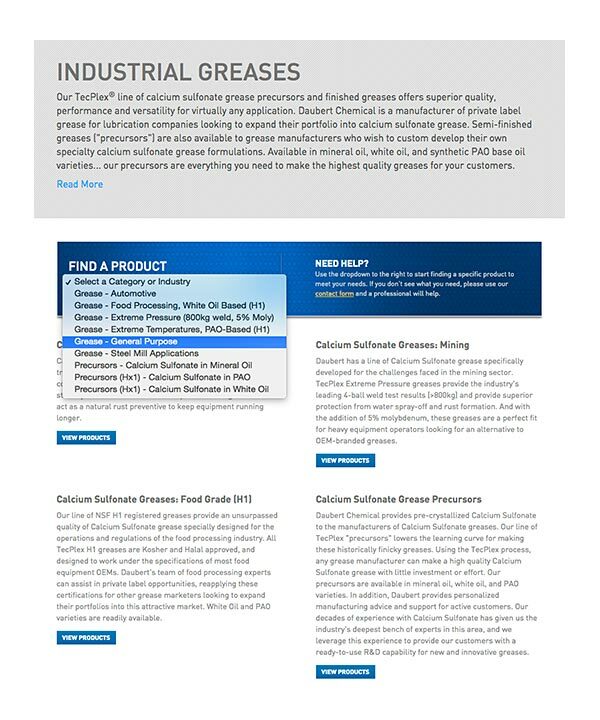 Available on the top of the home page and at the bottom of all product pages, the Product Search Bar and auto-fills options as the user begins to type, and takes them directly to the product solution. If there is an item in the store, there is a direct link from that page. Next, L2 considered a more inexperienced user, or someone that doesn’t know exactly what they need, but has a general sense of the type of product they need. 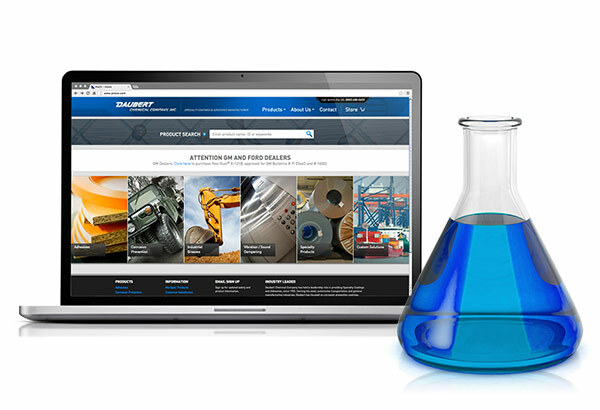 For these users, the home page is equipped with five large product category images, and a sixth, custom solution. Once the user selects a product category, they are given multiple options to drill down the solution they need. 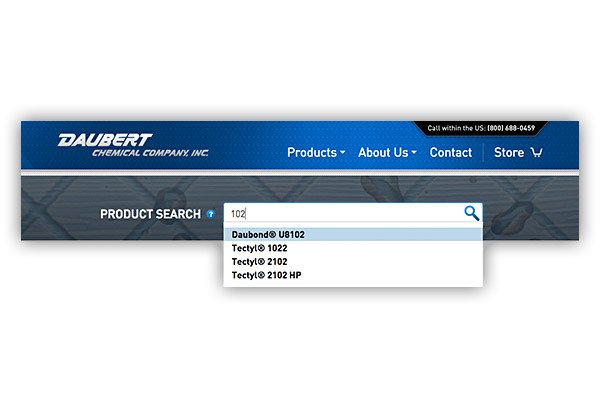 With the Find a Product drop down menu, they can search by industry or product attributes. Below the drop-down menu, tiles outlining the product’s chemical make-up are also available, further guiding the user to the product they need. Daubert wanted to make sure that all products from their various product lines were represented and well organized on the website. However, not all of the products sold are available for purchase online. To remedy this, L2 developed a custom ecommerce solution that married the overall brochure product listing on the site, with their online store. To do so, we developed a custom filtering system that allowed Daubert to dictate which items would appear in the store from the full product listing. 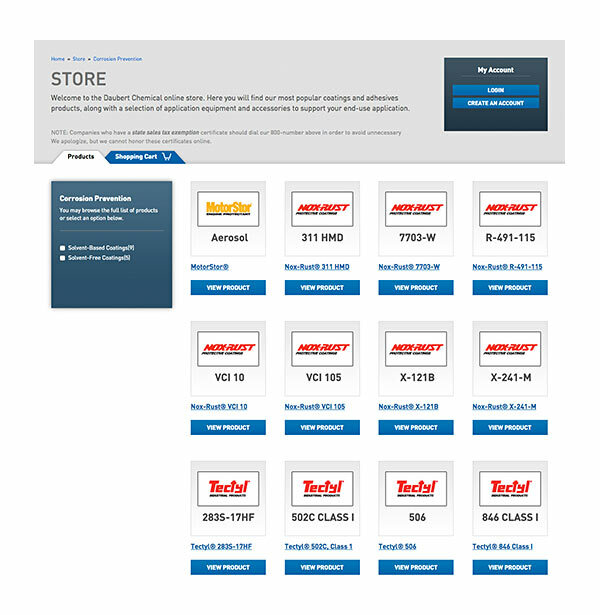 Conversely, any items from the full product listing that are available in the store are equipped with a direct link for purchase on their product page. In addition to a completely custom ecommerce solution, L2 created a suite of other custom tools to enable Daubert to keep track of, and communicate with their customers. For easy tracking and data retrieval, L2 developed a custom reporting solution. This multi-field solution builds static reports based on any criteria that is input with an order or customer – order status, customer name, area shipped, to name a few – and produces a comma separated value report. 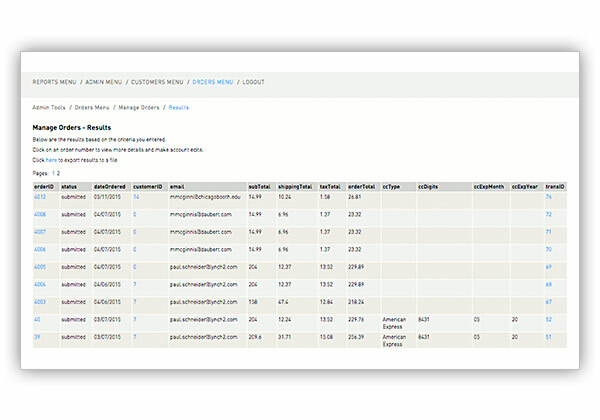 The custom reporting can also be utilized to view individual receipt-like pages. To communicate with customers and alleviate call volume for Daubert employees, L2 developed a custom messaging tool. 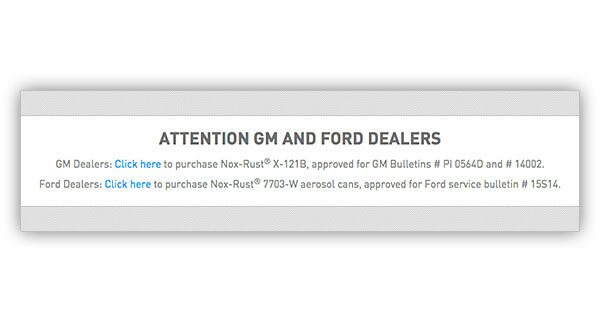 The custom message can be set to any page of the site at any time, and helps to let customers from different industries know of any product news.